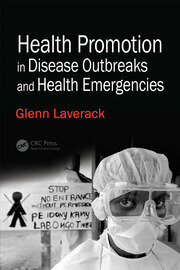 Glenn Laverack is seen as a leader in health promotion, public health and empowerment and has worked for more than 30 years in Europe, Africa, Asia and the Pacific regions with a significant range of professional experience in cross-cultural settings that facilitates a broad insight at both a theoretical and practice level. Dr. Laverack is seen as a leader in health promotion and empowerment and has worked for more than 30 years in Europe, Africa, Asia and the Pacific regions. He formerly worked as a Coordinator (Empowerment) at the WHO in Geneva, as a senior research fellow at the Southgate Institute, Flinders University, Australia and is presently an honorary professor at the University of Southern Denmark. Dr Laverack has a wide range of publications regarding health promotion in international settings including books in English, Portuguese, Russian and German. He has a significant range of professional experience in cross-cultural settings that facilitates a broad insight at both a theoretical and practice level. Dr. Laverack is committed to working with others to find solutions to the practical application of community-centred approaches.